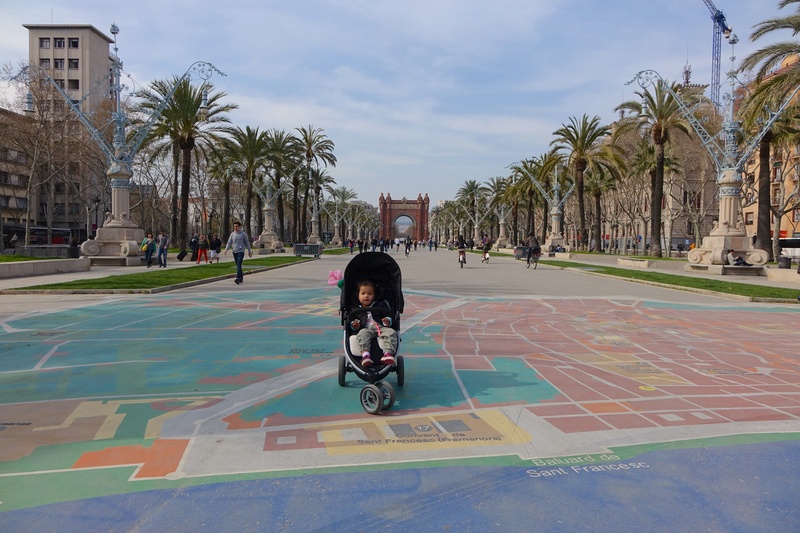 After recently spending 2 weeks in Barcelona for the first time with my little family, I wanted to share with you all the special things that you can do together. 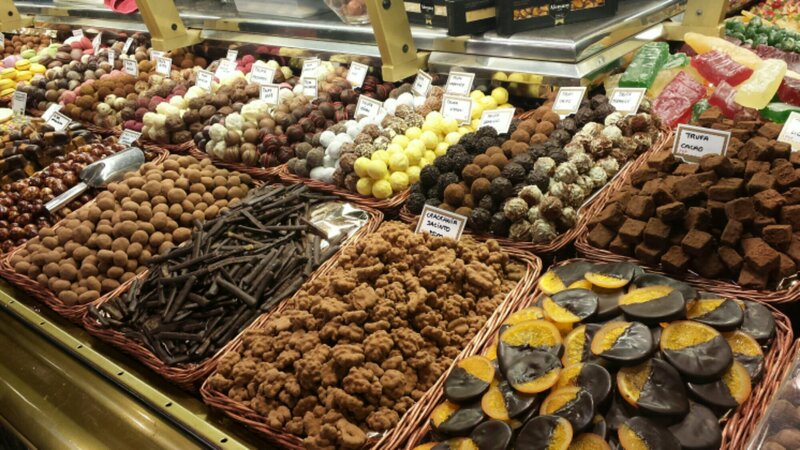 This list is not exhaustive however it sums up our favourite parts of the holiday. 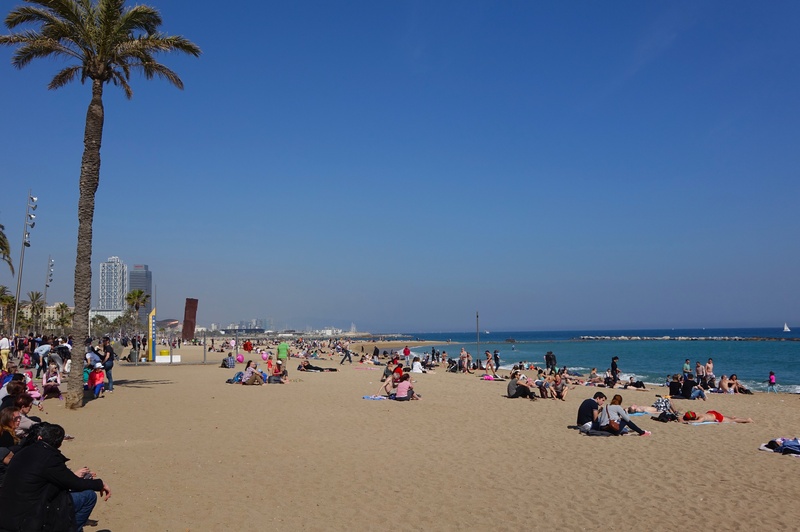 In mid-March, Barcelona was a nice 20oC and the beach was absolutely full of people. 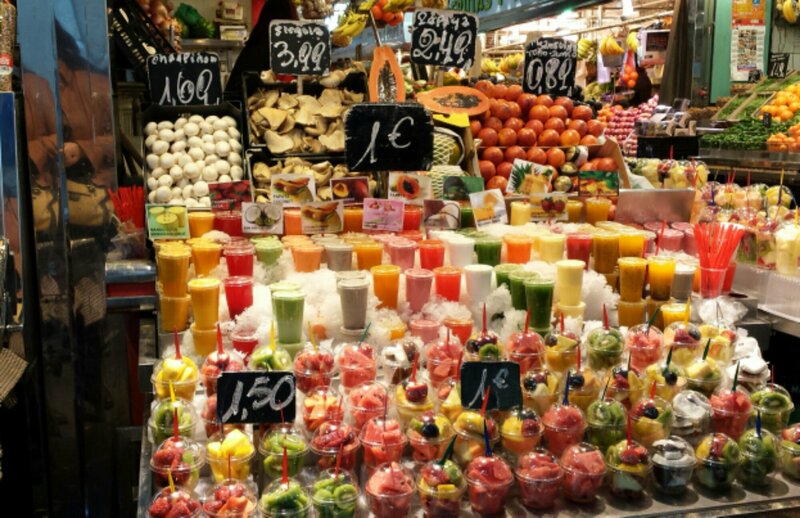 After all, Spain is famous for its beaches so no matter the weather, you would be ripping yourself off if you didn’t pay it a visit. The footpath along with beach is lovely for a stroll and you can always grab some takeaway, plant yourselves on the beach and people watch. After you have had enough, you can find a close by restaurant and have a drink before heading back home. 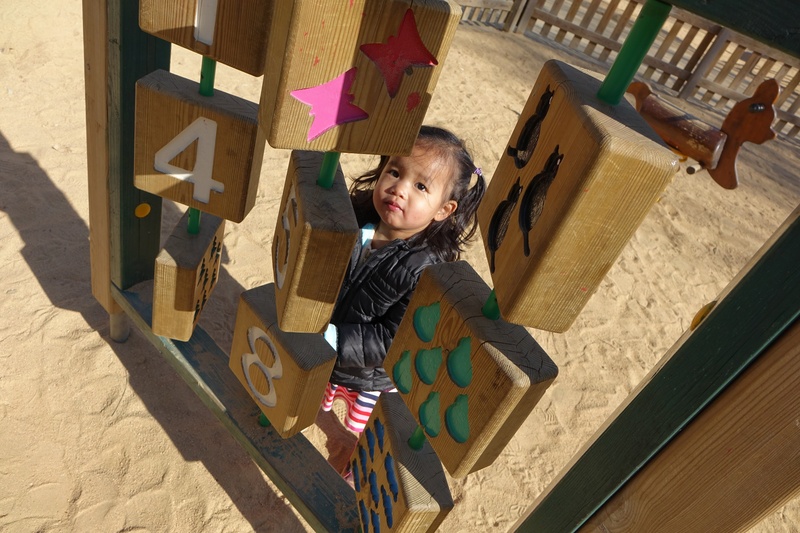 Children cherish playtime and lucky for them, there are playgrounds in just about every street in this concrete jungle. You can easily spend time there every single day to keep fuelling their little souls with excitement. All the playgrounds have their own unique configuration, keeping it interesting for the kiddies and there is always plenty of bench space for you to sit down and relax. Kids love and adventure and taking the train or bus is always good fun for them. The hop on hop off bus will save you time planning the day and is a great way to see town if you have never been to Barcelona before. Tickets can simply be purchased on board the bus on the day and you can hop on and off as many time as you like until your ticket expires. 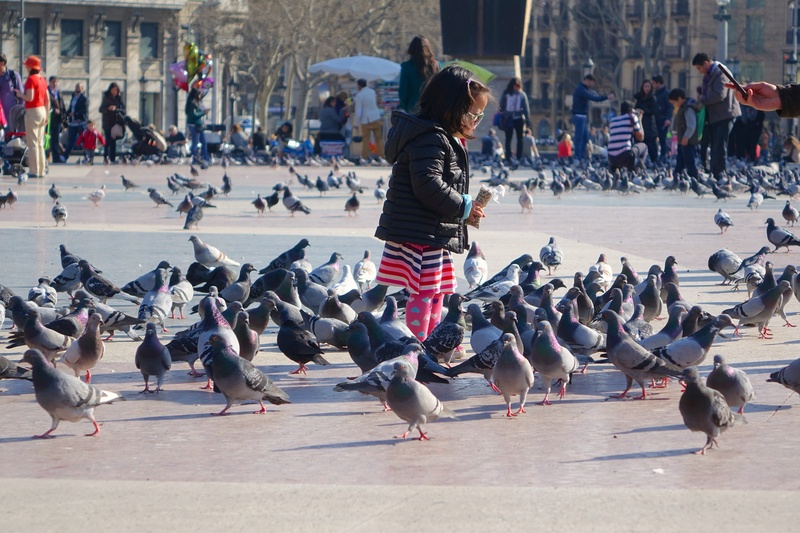 On the day, we decided to walk up to Placa de Catalunya to feed the birds (lots of fun) before hopping on the bus from there. Parc Guell (another must see) was our main destination and we were glad that we didn’t have to put much thought into how to get there. These are a big hit and best of all they work on tips so you pay what you think the tour was worth. 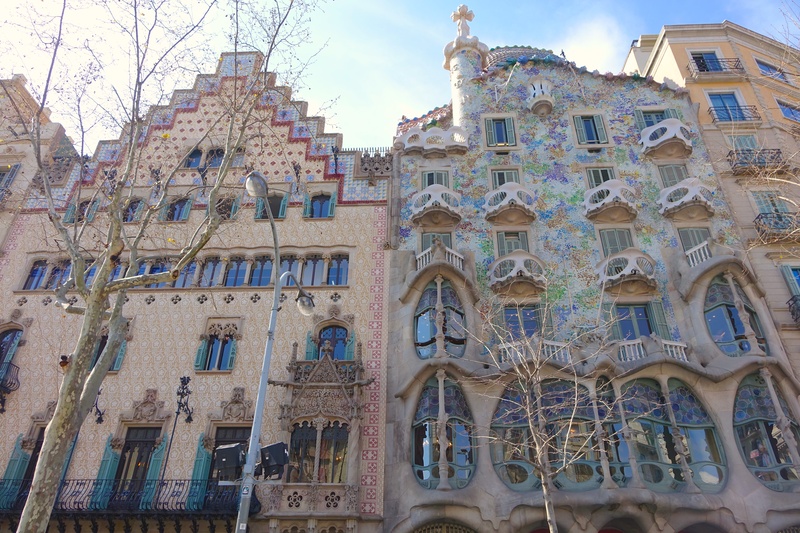 We did 2 free walking tours and I would recommend the Gaudi walking tour which is run by Runner Bean tours. 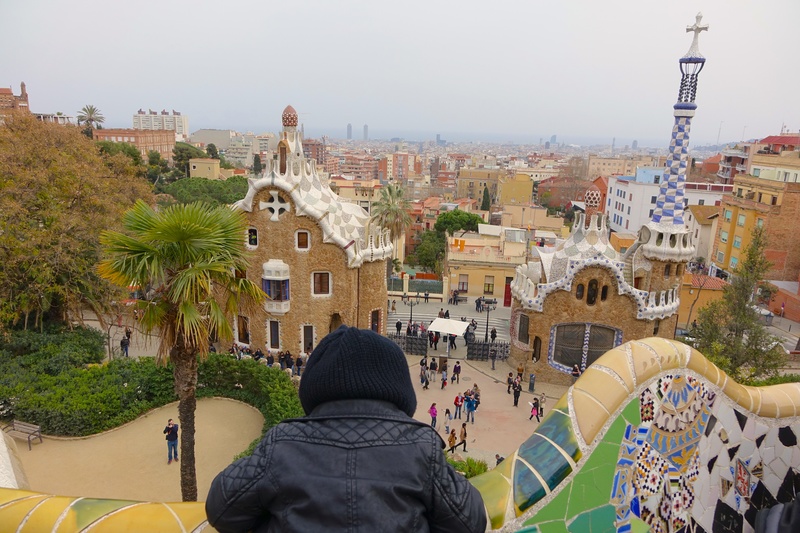 If you are travelling with a child in a pram, do note that there are a few train rides involved in this tour as Gaudi’s work spans widely across Barcelona. Luckily, there are lifts at most of the Trains stations. 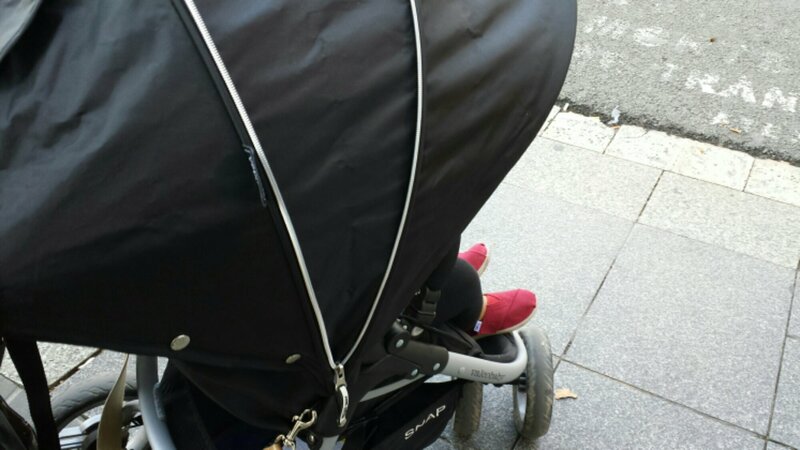 You will need to fold you pram otherwise and do a bit of juggling. We found it simple to do and the little one enjoyed herself too. 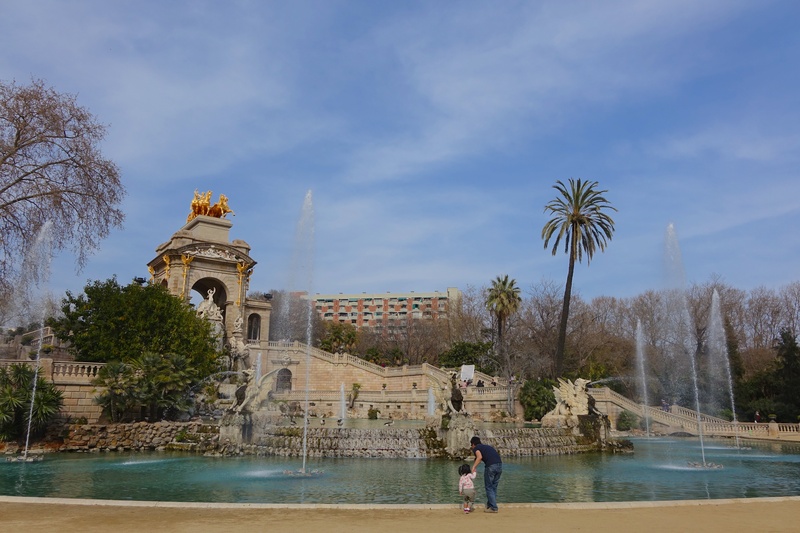 It can be quite difficult to find some nice grass for you to laze on and have a picnic in central Barcelona. So if you are looking for an inner city park then this is the place to go. It’s absolutely lovely with an abundance of activities for families to enjoy. There is also a zoo if you are interested in spending a whole day there. 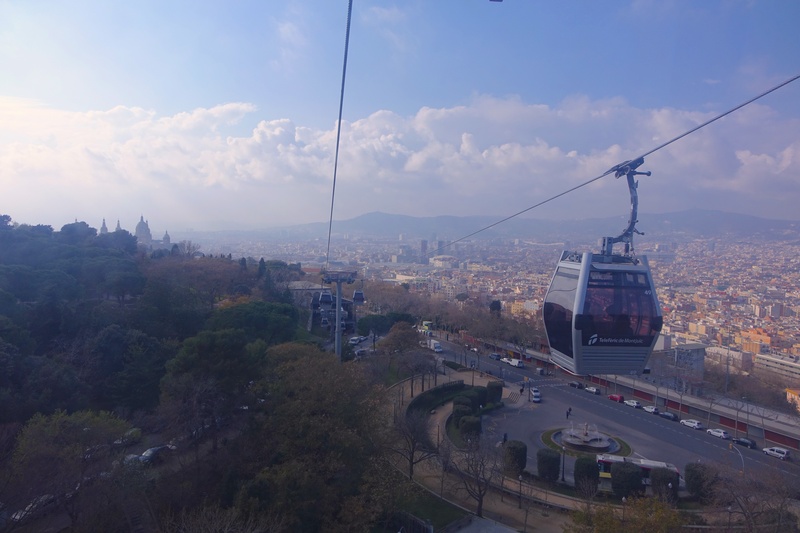 You can catch the cable car up to view Montjuic Park and Castle. Fees are charged per person so unfortunately kids are charged too but is worth it because the views at the top are amazing. We didn’t know what to expect when we arrived up there but it’s a lovely spot to have a picnic and stroll around. There is a Castle up there which will cost you a tiny $3Euro per person. We didn’t bother with it but judging from the people we saw and the viewing area on top of the castle, there are even better views from up there. After over 100 years one of Gaudi’s master pieces is still being built. 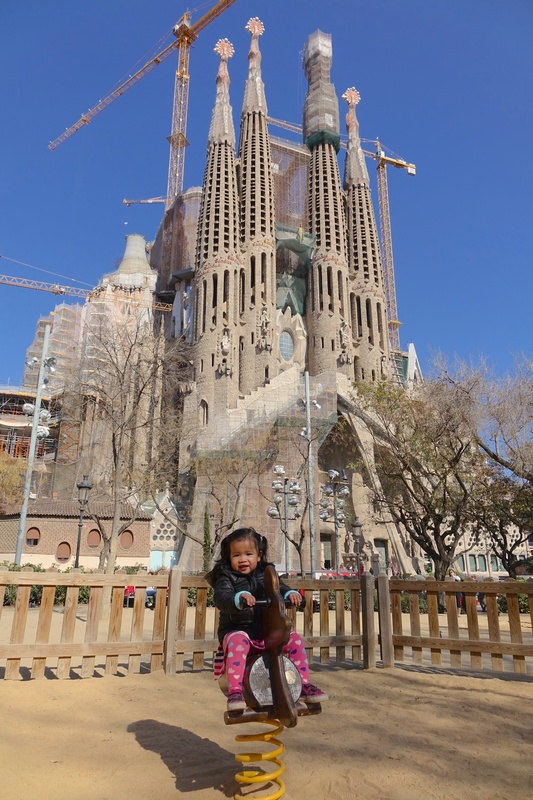 Funded by anonymous donations and entrance fees, it is expected that Sagrada Familia will be complete in approximately 20 years’ time. 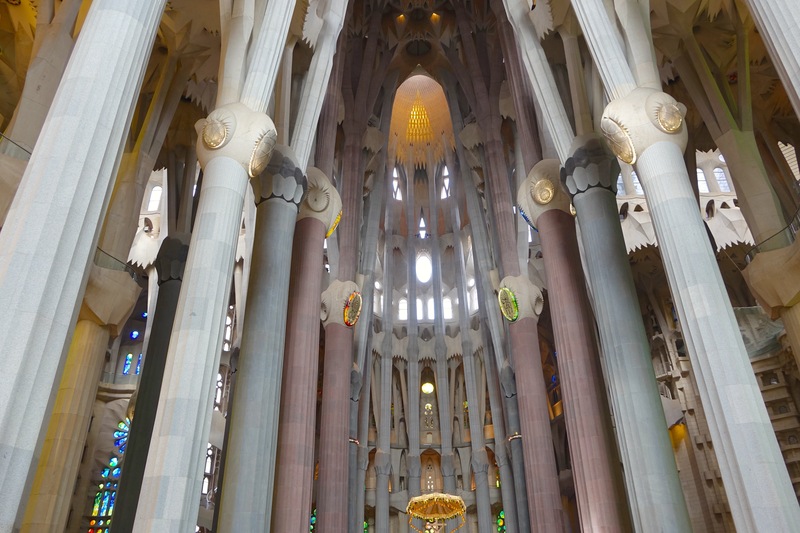 Nevertheless, the inside is complete and you are still fortunate to see one of the world’s most famous churches. Entrance fees can vary however note that children under 4 years of age a free. Also, if you are keen to jump the cue (which is massive), all you need to do is book your ticket online, have it printed and have it with you on your selected date. 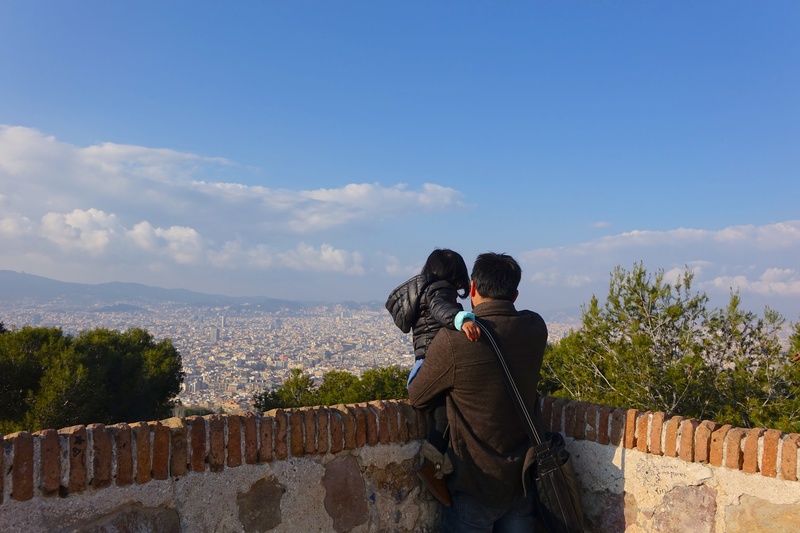 I hope you enjoyed the read and if you have been to Barcelona before, feel free to add to this list. 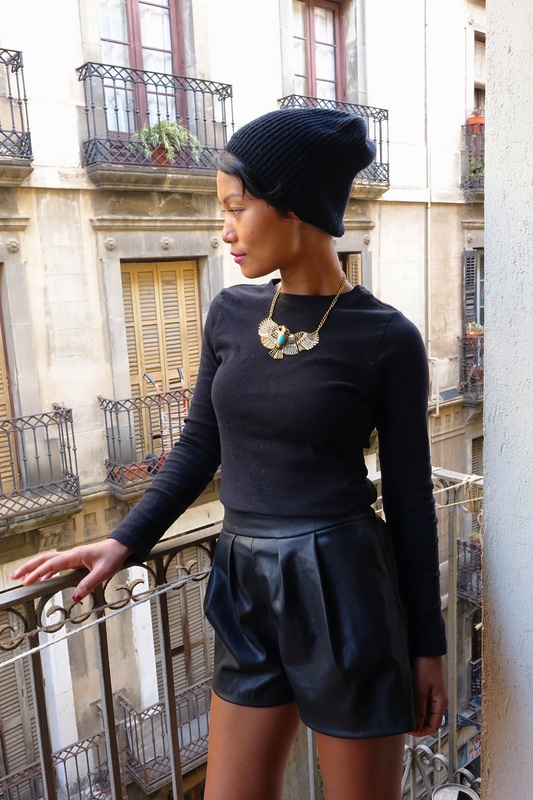 After a short week in London and detour to Paris, we flew to Barcelona where we’d plant ourselves for two whole weeks. Such a lovely feeling after all that travelling. 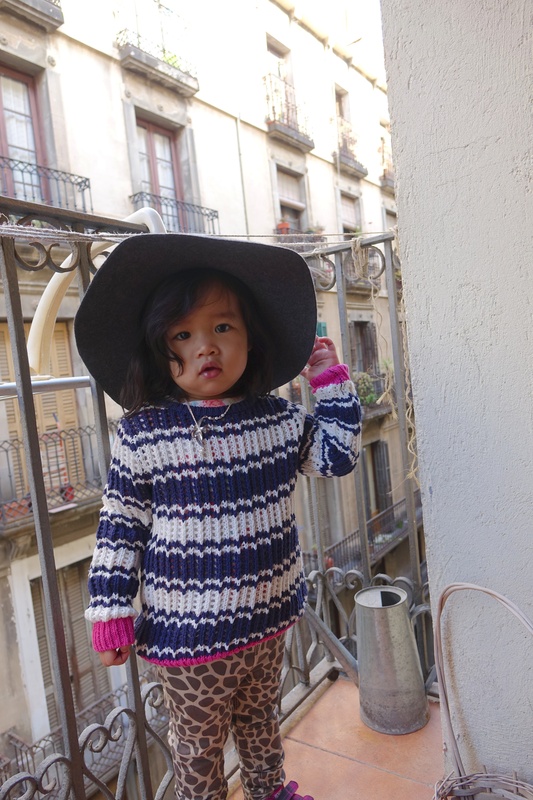 Waiting for us in Barcelona was a cosy apartment that we booked through AirBnB. This experience was new to us because we’re use to 4+ star hotels with room service and housekeeping. Although now as a family, a fully equipped apartment where we could just be and cook our own meals was more important. 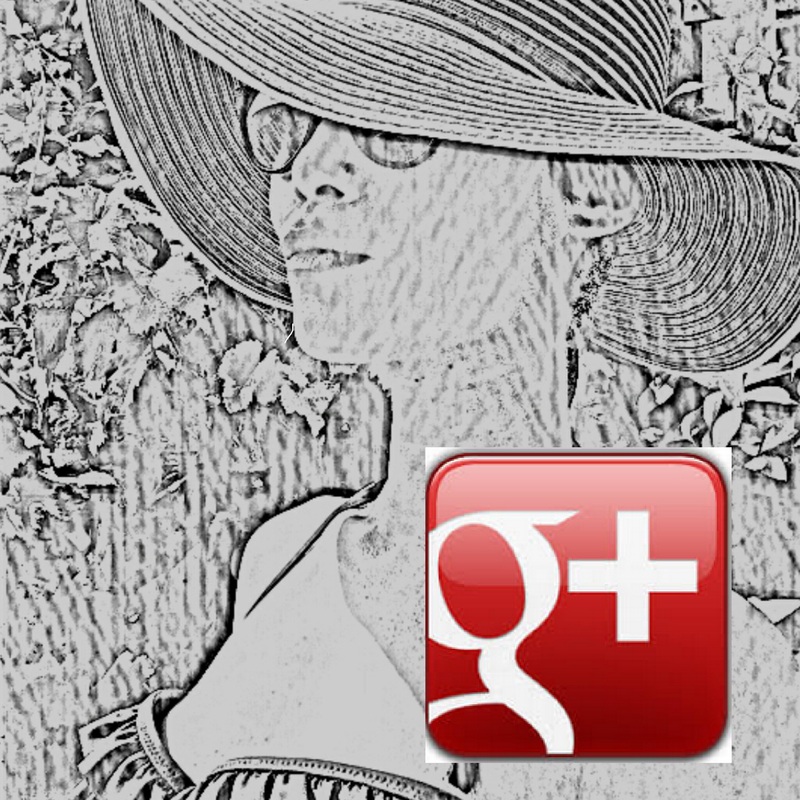 Plus it’s far more economical do it this way when there’s a few of you. 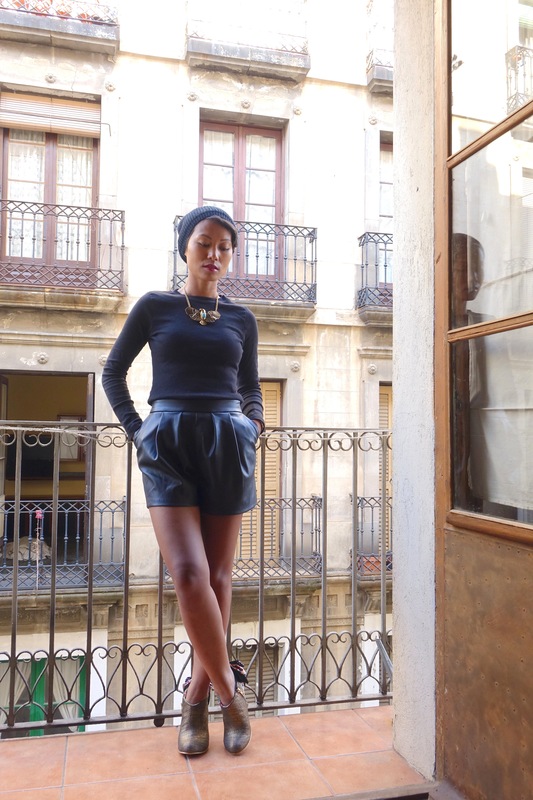 I must say, the place we booked looked a little tired (unlike its photographs) but otherwise it was perfect for our first stay in Barcelona. It was cosy, had lovely views of the street from our little balcony, was a short walk to La Ramblas (main strip) and close to public transport. 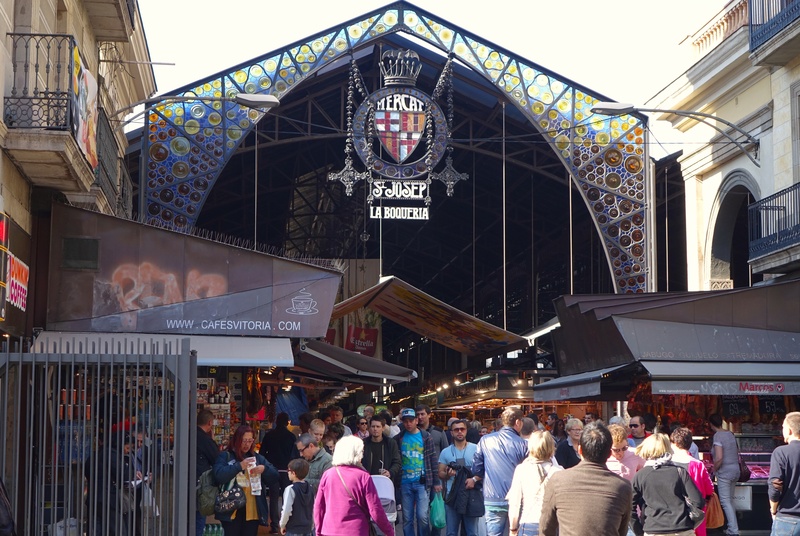 Coffee shops and the famous market were also in close proximity. 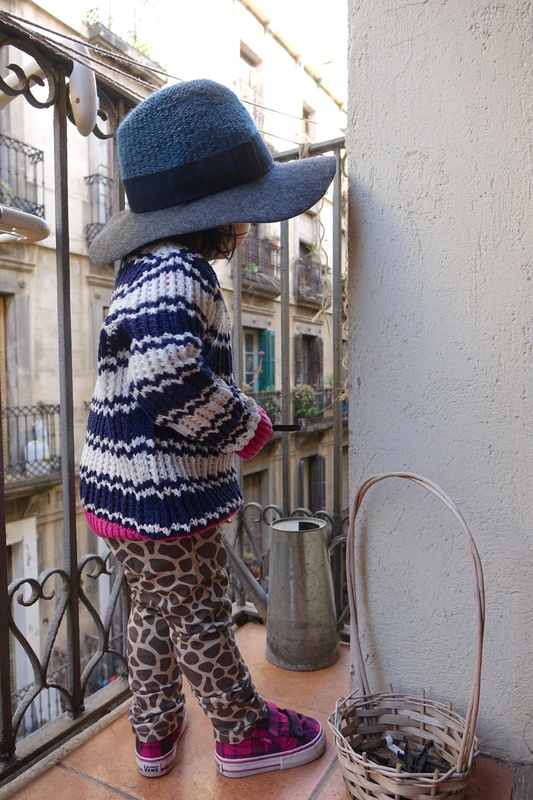 Without showing too much of the apartment, I thought it would be nice to do a style shoot one morning on the balcony before we headed out for the day. My little girl popped on my hat (her choice by the way) and joined in on the fun too. The photographs were a little shady due to the lighting but I absolutely loved how they turned out. Thanks for stopping by and let me know what you think of our little outfits. 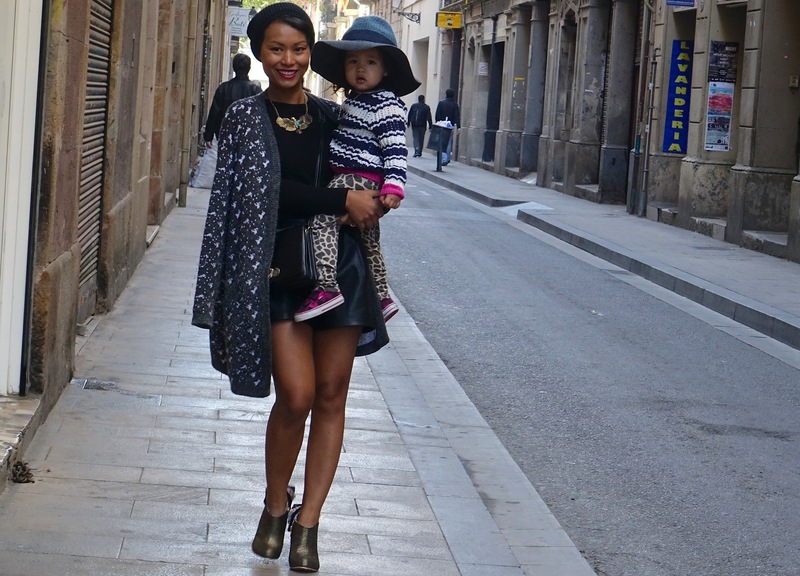 Next post will be things to do in Barcelona as family.